When opening tomorrow's Cycle Show in Birmingham, Dudley MP Ian Austin will call for cycling to be made an election issue. 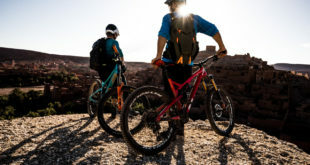 Cycling should be a central issue at the next election, Ian Austin MP will say tomorrow when opening The Cycle Show at the NEC in Birmingham. Austin is co-chair of the All-Party Parliamentary Cycling Group. Austin will repeat the mesaage at the ‘Love Cycling, Go Dutch’ conference running alongside the show. The Dudley North MP will say 2015 is the moment to achieve a real breakthrough in Government support for cycling. Austin wants cycling campaign groups and the cycling industry to challenge political parties to sign up to pledges to invest in safer facilities and support other measures to promote cycling and get more people cycling. 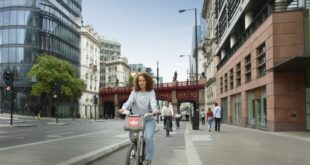 In the summer, the All Party Cycling Group published the Get Britain Cycling report with 18 recommendations to boost cycling from less than 2 percent of journeys in 2011, to 10 percent of journeys in 2025, and 25 per cent by 2050. The report recommends that the Government invests a larger share of the transport budget on measures to promote cycling such as more segregated cycle lanes and improved junctions, provide more training for cyclists, teach children to ride at school and support businesses who want to enable their staff to commute by bike. 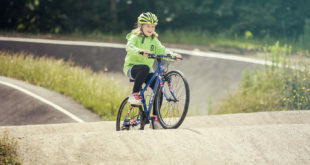 Austin said: “I have asked British Cycling, Sustrans, the CTC and the Bicycle Association to draw up proposals to make cycling a central issue at the next election. "We can use the Get Britain Cycling recommendations to develop clear demands and call on the political parties to sign up to them. "Let’s challenge all the parties to produce manifestos for cycling, with detailed pledges about the investment they will earmark, and the improvements they will make to get more people cycling. “Let’s organise hustings on cycling and mobilise cyclists, local campaigns, clubs and groups around the country, support them and equip them with the resources they need to meet their local candidates and demand they pledge to support cycling too.